Bowlba Records is very excited to bring this original release to the streets and beyond. 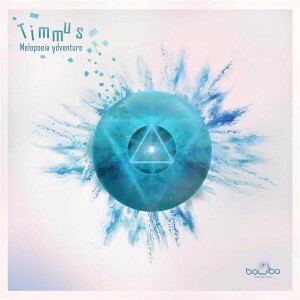 Melopoeia Adventure is an alternative, organic, minimalistic, groove-oriented adventure into the world of Timmus from Melbourne, Australia. His twisted techno and deep tribal trance style brings quirkiness and imagination to the table to enjoy with the sun on your side. MP3 Download | FLAC Download | WAV Download · Download count: 6,067. Great downtempo tech, ‘Conversations with my molecules’ is a fun track. Killer. Very clever, unique and musical. However the mixing is not super clean. Still the quality ideas overpower the slighty weak production. Good stuff. Most clever music i have heard in a very long time. Nice sounds a grooves man =D, wicked work!! Big ups brotha, keep up with the tunes!